This Christmas STEM activity for kids using magnetic tiles and jingle bells. It's a perfect Christmas activity for toddlers and preschoolers! 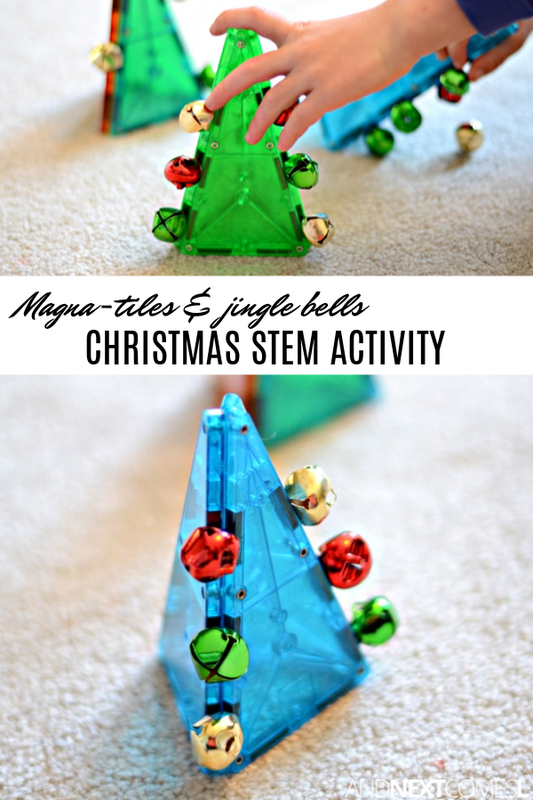 Our beloved Magna-Tiles recently got a Christmas makeover! Turns out this simple combination of materials makes a great Christmas STEM activity for kids, especially for toddlers and preschoolers. Any brand of magnetic tiles will work. It doesn't have to be Magna-Tiles brand. That's just what we have and love. The boys created some Christmas trees using three Magna-Tiles isosceles triangles. Then they started sticking some jingle bells on to decorate them. And voila - instant festive decorations! The boys also built some boxes to hold all of the jingle bells. They proceeded to fill and dump, fill and dump, fill and dump...you know, things little kids love to do over and over. 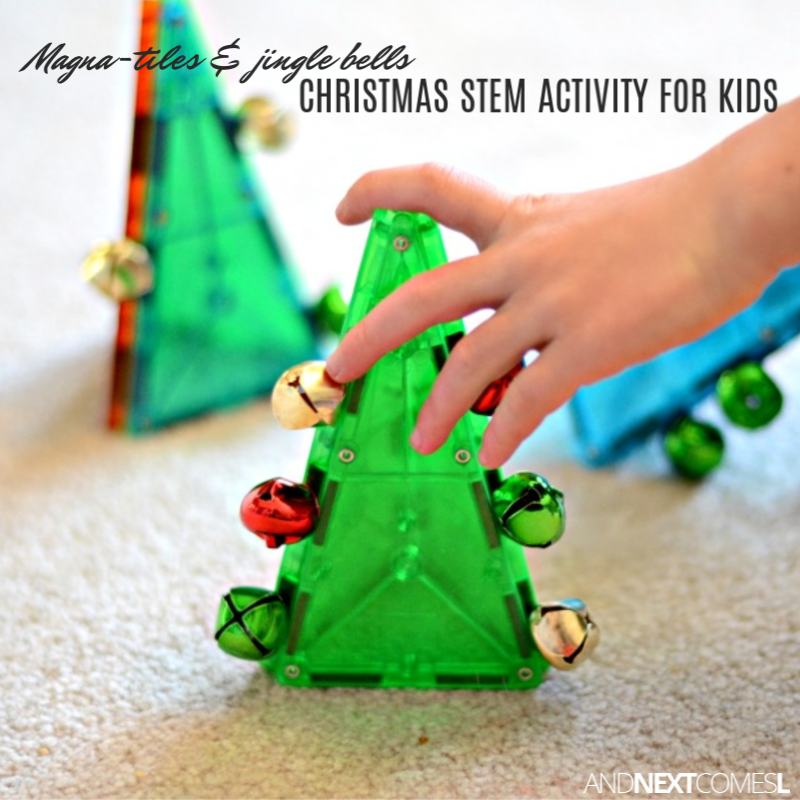 Next, the boys stacked some Magna-Tiles to create some DIY jingle shaker instruments. A little bit of dancing followed suit. J also came up with some kind of game using the Magna-Tiles and jingle bells. He stacked all the silver bells on the Magna-Tiles and then tried to knock them off using the green and red bells. And now I totally want to sing "Silver Bells..."
Love this idea! My 3 year old son really enjoys his Magna Tiles - it was such a great investment for a birthday gift. He plays with them every day and is always building the most creative things - it constantly astonishes me! We're doing this today! I love that about Magna-Tiles! My boys have built some pretty crazy creative things with them and just like your son, my boys play with them every single day. Hope you had fun with the jingle bells activity!